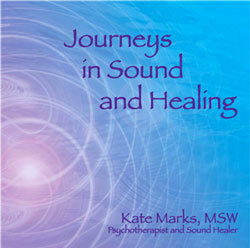 Kate incorporates the use of Q 1000 Soliton Laser Therapy in her practice usually in combination with other modalities. It has been used for over 30 years in many countries as therapeutic energy to bring about favorable biological effects in both plants, animals and people. Low level laser therapy has been proven completely safe in over 2000 worldwide studies. Regenerating and re-energizing cell membranes to allow transport of essential nutrients across cell walls (nutrients will not cross an injured or sick cell wall, thus slowing healing) allowing a healthy new cell to grow. Reducing inflammation by as much as 75%, Increasing bone repair speed by stimulating fibroblastic and osteoblastic proliferation. Low level laser therapy may be used any place there is acute or chronic pain or inflammation, and is effective on any disease or disorder. The hothouse dome produces its healing benefits through radiant Far Infrared heat. Its unique, specially arched design and multifaceted acute-angled silicon crystal chip, inner surface, maximizes the penetrating radiant heat absorbed by the body, thereby enhancing the thermal effect. Decreased muscle spasms, pain and soreness. Reduced swelling and inflammation, by improving lymphatic flow. Removal of heavy toxins – metal poisoning and chemicals – due to activated metabolic activity. Improved oxygenation exchange and accelerated metabolism. Relief from breathing and lung challenges. Excellent for alleviation of rheumatism, arthritis, gout, and reducing the density of uric acid. Extremely effective for clearing breathing problems such as asthma, sinusitis, allergies and bronchitis. Very good for relieving paralysis, sciatica, insomnia, neuralgia, abnormal nerve functions, high blood pressure and chilblains. Relaxes muscles and relieves muscular ache – Reduces back, shoulder and neck pains. Excellent for reducing swelling, inflammation and associated pain. Stimulates lymphatic cleansing – Enables elimination of toxins, lactic acid and carcinogenic heavy metals. Excellent for serious detoxification.